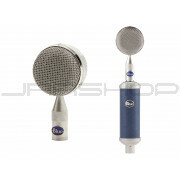 JRRshop.com | Blue Microphones Blueberry - Free Blue Dual Cable! Blueberry’s commanding sonic signature and high SPL handling make it ideal for all sorts of instruments. 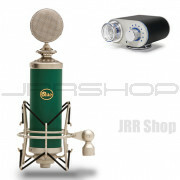 Capture guitar amps, drums, and brass with precision and clarity. Achieve warm, transparent tone for acoustic guitars and strings. Blueberry’s natural intimate presence even lets your most delicate sounds cut through the mix. All with minimized proximity effect. Blueberry is designed and assembled with hand-tuned precision right here in the USA. Everything from the single-membrane large diaphragm capsule to the custom-built brass back plate adds to Blueberry’s superior audio and superb transient response. 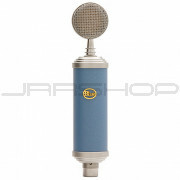 Blueberry blends the intimacy of vintage tube vocal mics with the response of the best solid-state technology. These characteristics combined with a proprietary transformer output provide Blueberry with a signature sound all its own. It’s the ultimate blend of vintage and modern. Every mic we make delivers a unique personality, detailed sonic signature and specialized feature set to inspire your creativity. Blueberry is also custom-designed, hand-tuned, and tested to the highest quality standards, so you’ll always get the best performance. 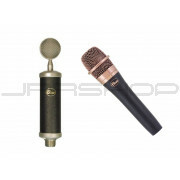 And at an affordable price, superior sound is within easy reach. In studio and on stage for vocals, acoustic guitars, drums, and any instrument that needs to cut through the mix. Winner of Electronic Musician's 2000 Editors' Choice Award for Best Microphone, the Blueberry consists of a Class A discrete transformer based microphone amplifier perfectly chosen to compliment our cardioid pattern, hand- built large diaphragm capsule. 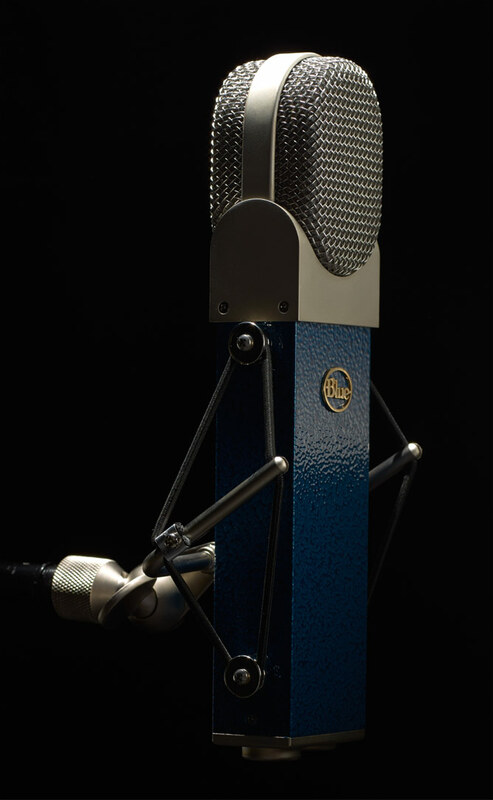 First and foremost, the Blueberry has been designed to provide the commanding, intimate presence associated with the world’s best (and most expensive) vintage vocal microphones. 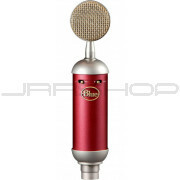 With its shimmering, detailed highs, smooth midrange, and minimized proximity effect (a bass boost inherent in all unidirectional mics), the Blueberry excels at delivering a vocal right to the front of the mix where it belongs. 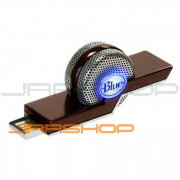 When processed with limiting and/or compression, as is standard practice for most pop vocals, tracks recorded with the Blueberry will be free of pumping, low frequency thumps. Acoustic guitar, hand percussion, drums, and other critical high end sources also shine in front of the Blueberry, gaining an extra measure of presence that enables the most delicate sounds to cut through a mix, even at very low levels. Designed to fill the needs of the home musician and the professional alike, the Blueberry includes the Series Two Shockmount and comes handsomely packaged in its own cherrywood box. Whatever your music, add a Blueberry to the mix and let your ears feast on the sound.